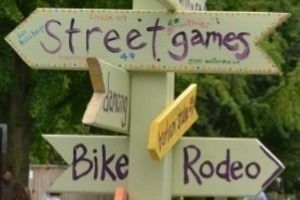 Goal to fund May's Streets Alive! was reached!! Lots of Love out there. Stretch goal for Sept's Streets Alive! Give, Share, and Tell your friends! On Foot. Support 25 feet of Streets Alive! Tricycle. Support 50 feet of Streets Alive! Bicycle. Support 100 feet of Streets Alive! Tandem. Support 200 feet of Streets Alive! We're on to our STRETCH GOAL! Help us fund 2 miles of Streets Alive! Streets Alive! has quickly become one of Ithaca’s most beloved community events. It draws crowds from near and far to celebrate all modes of active transportation and Ithaca’s vibrant community. In its 4th year, Streets Alive! attracts thousands of participants, over one hundred volunteers and many community partners to open a route to people moving, art, and community celebration and temporarily close it to cars. 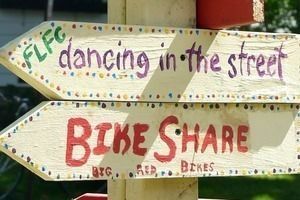 About one mile of city streets are transformed into public space for four hours on one Sunday in May and September, welcoming bikers, walkers, strollers, rollers, dancers, artists, kids, and people of all ages. Each Streets Alive! event celebrates walking and biking, physical fitness, green energy, and helps create a healthy and more connected community. We’re asking you to invest in safe and enjoyable biking and walking in Ithaca with your donation to cover costs of one Streets Alive! events with the vision of more car-free days in the future. Bike Walk Tompkins, a co-sponsor of Streets Alive!, is seeking to raise funds to cover event expenses, without relying on grants, and show how strong the community support is for biking and walking. Event expenses include transportation for gear and barricades, local bands, insurance, volunteer food and t-shirts, printing and outreach, among many others. We welcome generous business sponsors to help offset the costs of the event but we want to see Streets Alive! become a financially sustainable, grassroots event that is carried by the community. 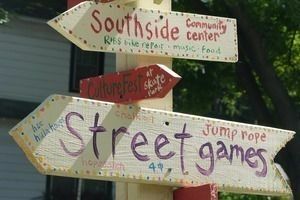 We’re asking you & your friends to join us in raising our goal of $5,280 to sponsor the full mile of a Streets Alive! event. Please DONATE today! $25 - On Foot. Supported 25 feet of Streets Alive! $50 - Tricycle. 50 feet! We’ll throw in a reflective Streets Alive! pant leg wrapper. $100 - Bicycle. 100 feet! Leg wrapper and get your name (or dedicate your donation in someone else’s name) in chalk along the main street of the route. Give enough to pull the weight for 1+ and cover the several blocks of car-free fun. Receive the gifts outlined above plus a complimentary bike tune up or one day electric bike rental. 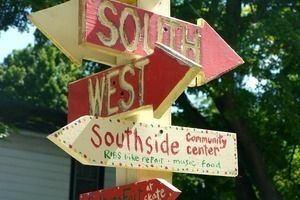 Help us blow past our goal for May's event to cover funds for September's, Southside Streets Alive! by showing that we have have working volunteers willing to help us raise, $10,560. Hey, if we go past that, then we could host a 3rd Streets Alive! in 2016! Ithaca’s first Streets Alive! happened in 2012 through work from a steering committee that includes transportation planners, community organizers and advocates. We now have 2 Streets Alive! events a year, in May and September, in the Fall Creek and Southside neighborhoods of downtown Ithaca. May 3, 2015 will be our 6th Streets Alive! event that is growing in its reach of participants, which is estimated at over 3,000 for each event, and volunteers who represent a broad spectrum of ages, community connections, and backgrounds. Streets Alive! Ithaca has been inspired by a growing movement to create space for healthy activity and promote active transportation in urban places. In the past 5 years, over 65 cities in North America and around the world have successfully launched Streets Alive! initiatives. Streets Alive! is currently made possible with the generous in-kind support donated by Way2Go and Bike Walk Tompkins with grants from the Park Foundation and the Tompkins County Tourism Program.